April 6th cafe: celebrating Spring! 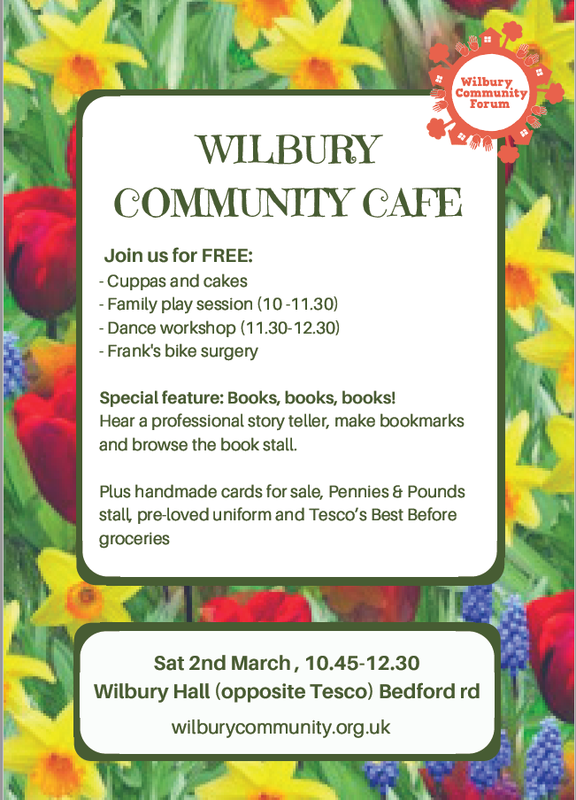 March 2nd cafe: Books, bikes, bargains and a bit of a boogie! February: Foodie Fayre and Family Fun! Beat the January blues with lots of free fun at our cafe on the 5th! Hi there, You will see some people with red lanyards at the cafe; we are volunteers and turn out regularly to run our different activities at the cafe. If you’d like to help occasionally, decide where you fit in and lend a hand. If you want to commit to the first Saturday each month, let us know. We are always interested to include new volunteers. It could mean a volunteer takes a break or if you think of a new activity (e.g. gardening) tell one of us! November 3rd Cafe: We love pets! And special feature: "We love pets" with advice from the RSPCA and doggy crafts with local artist Rod. Come and chat with neighbours and friends! You are invited to join in the fun at the Wilbury Community Hall and St.Thomas’ Church Hall as part of the 80th Celebration of St. Thomas Church. 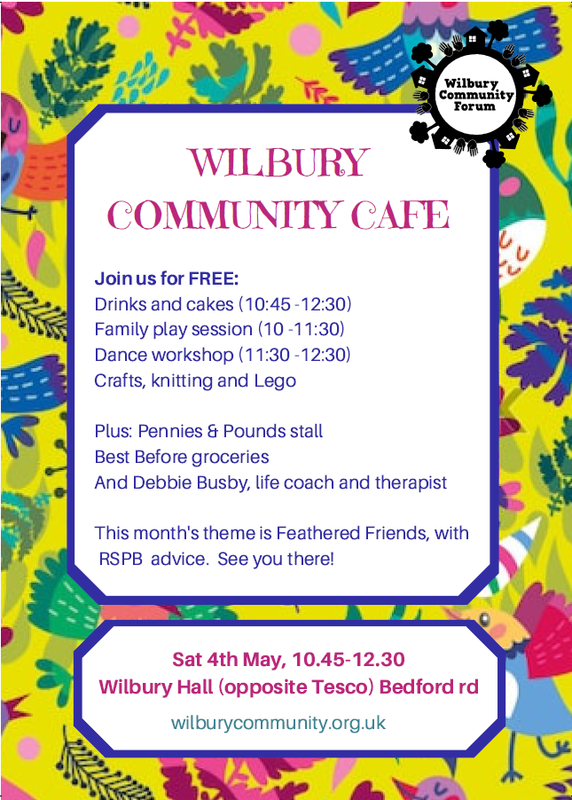 Local people will be both selling their crafts as well as showing you how to make your own gifts. An ideal afternoon for the children. Admission is free and light refreshments wil be available. If you would like table top space to exhibit your craftwork or better still hold a small workshop please contact Kay Skingsley (01462 672594). July 7th - Summer Fair - don't miss it! June 2nd Cafe and street spruce up - get involved! Samba party - 5th May - don't miss it! Correction: Wear My Baby aren't having a meet-up, but Tammy will be available with demonstration slings for a chat! Cafe March 3rd CANCELLED due to snow - sorry everyone! Next cafe - 6th January: stay warm, stay safe! 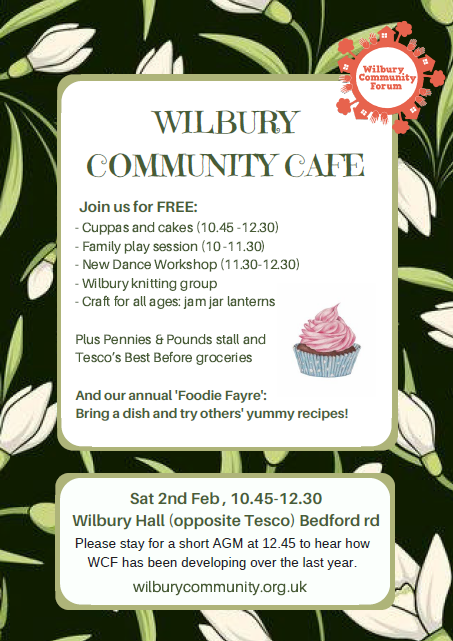 The dates for the Wilbury Cafe in the new year are as follows - put them in your diary!